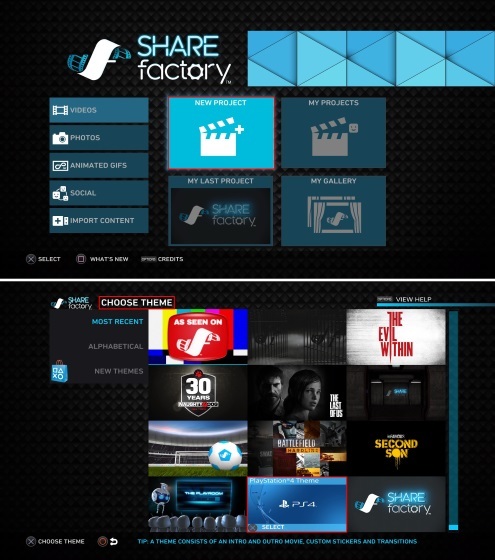 To use the SHAREfactory app, the first thing you need to do is to record your gameplay, which you’ll be editing later on. To start your recording, open the game you wanna record and press the SHARE button on your DualShock 4 Controller twice till you see the recording icon in the top left. Record till whatever time you want to, and then press the SHARE button to stop the recording and save the gameplay to your System Storage. Once you’re through with the recording, open up the SHAREfactory app. The next step is to start a new project that we will be working on. 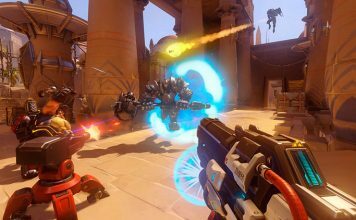 You can either use videos or even multiple screenshots from the gallery. To continue, simply click on the “New Project” tab. You will then be presented with a screen that shows you multiple themes to begin with. Choose the theme of your choice. Thereafter, you’ll be asked to name your project. 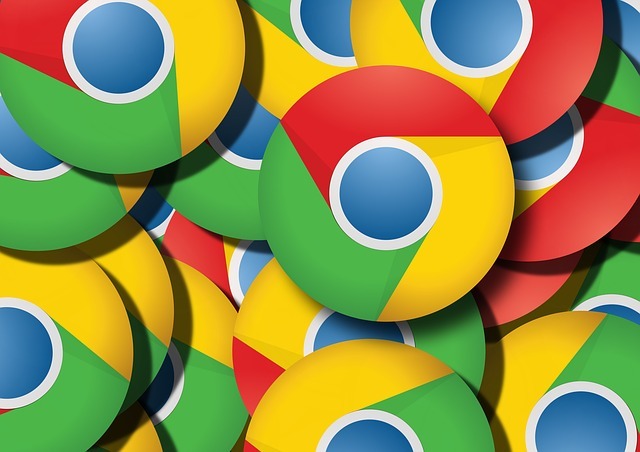 Do note that you can use any name, up to 24 characters only. 1. Press the SQUARE button on your controller to reveal the modifying options for your clip. After this, select the “Time Bender” option. 2. Next up, you’ll be presented with a screen to change the Play Speed from 1/8th to 8x. 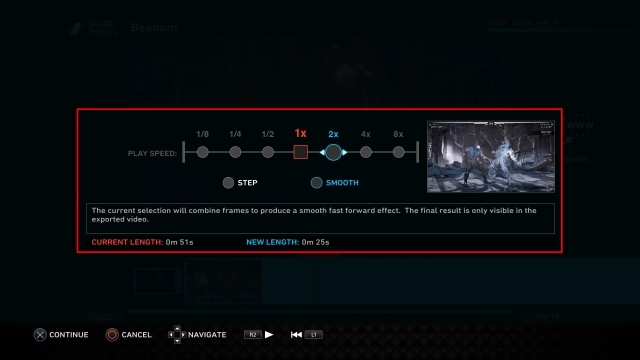 You’ll also get the option to choose which effect you want to use to change the speed – Step or Smooth. 3. After finalizing your preferred choices, press the X button to continue and apply the changes. 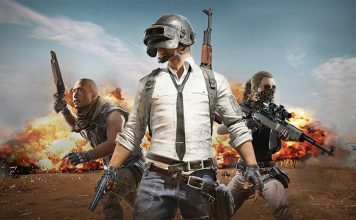 Note: To do so, first make sure that you have a mic connected to the PS4 (it could be an external mic or your earphones with a mic). 1. To start with, go to the timeline view in SHAREfactory and press the X button on your DualShock 4 Controller, and select “Add Track 2”. Then, using the Touchpad on your controller, seek the timeline to the point from where you want your voiceover to begin from. 2. Once you’ve finalized the position, press the X button on your controller to continue with. You’ll be presented with an option to whether Record Video, Record Audio or Add Clip to it. Select “Record Audio” to do simple voiceovers. 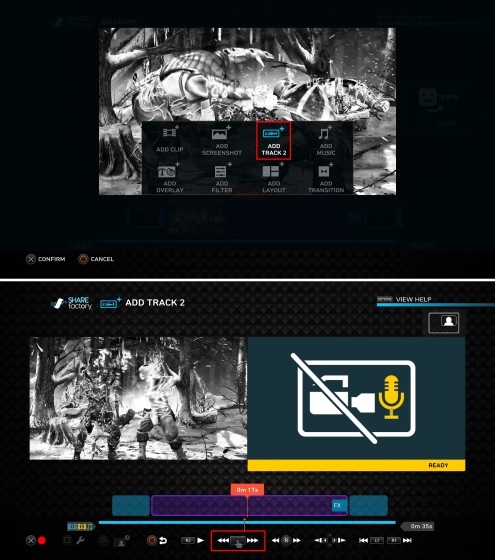 You can also select Record Video to add video commentary to it, but it requires a PS4 Camera to be connected to the PS4. Once you’ve selected your option, a countdown timer will show up on your screen after which your recording will begin. 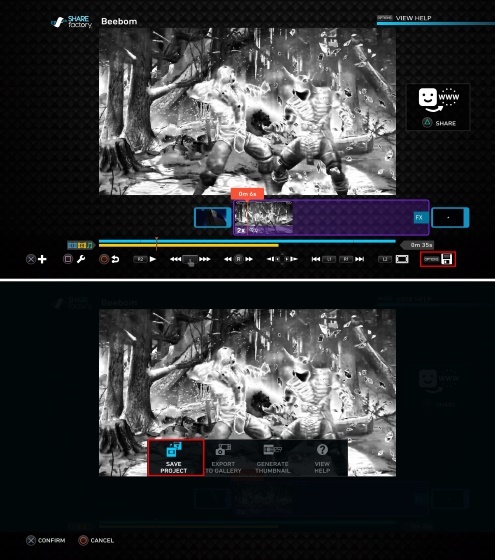 Once the recording screen appears, start your commentary alongside the video that would be displayed in the left side of the screen. Once you’re done with the commentary, simply press the X button on your controller to stop recording or press the O button to cancel the recording and start over again. 3. And that’s it. Once done, you’ll be presented with a timeline view with yellow track line below the blue track line. 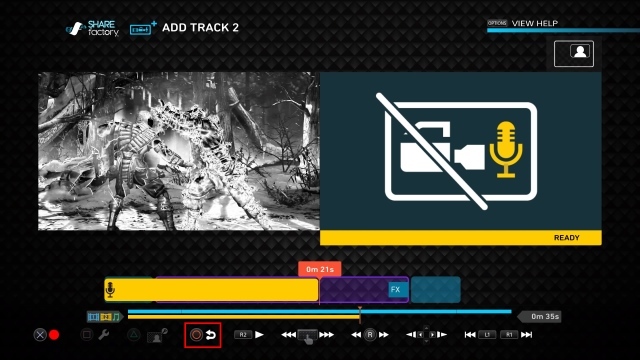 The blue track line represents your original clip and the yellow track line represents the voiceover (track 2). 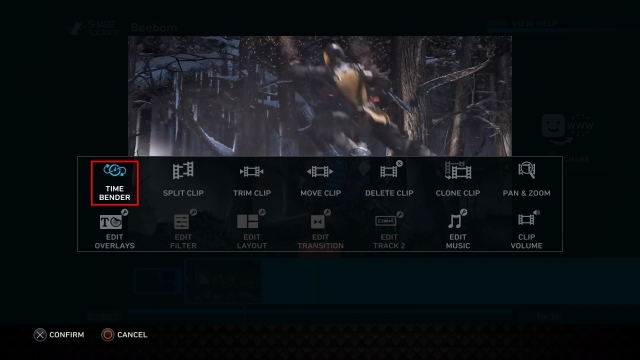 Just press the O button your controller to save your changes and go back to the main timeline screen to add more features to your clip or modify it further. 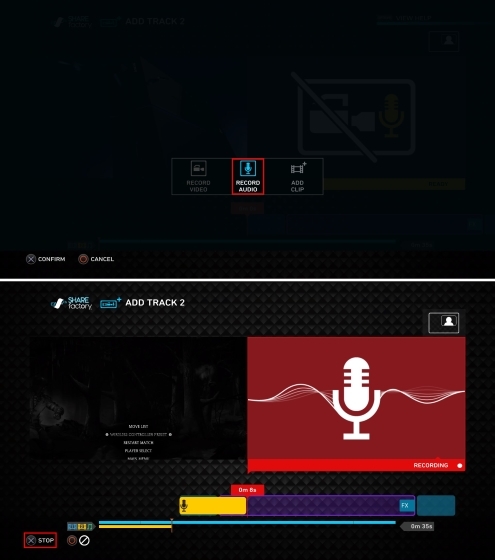 You can use the SHAREfactory app to modify the clips further more, by splitting the clip, trimming it, moving it on the timeline, deleting or adding clips, panning and zooming the various clips, editing any overlays, and adjusting the clip volume to name a few. Furthermore, you can add various sound tracks, pictures, overlays, filters and transitions for the clips on your timeline. 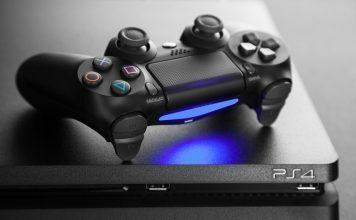 Once you’re through with all the edits to your video, you can either directly share the video online by pressing the TRIANGLE button on your DualShock 4 Controller, or you can press the OPTIONS button to save the video to your System Storage. Depending on your choice, the video will be rendered and then you can continue sharing it online or it will be saved to your system storage. 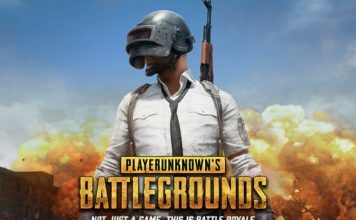 Everyone loves to show off their gameplay to the world and especially their gaming buddies. After all, “Whatever you do in this life, it is not legendary unless your friends are not there to see it”. Sharing a customized video is always going to be better than sharing simple RAW footage of your gameplay, and SHAREfactory proves to be a simple yet powerful tool for users to accomplish that. 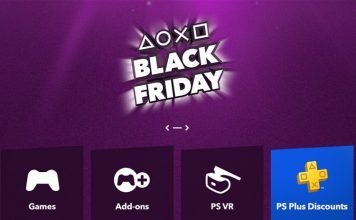 So, try out the SHAREfactory app on your PS4, PS4 Slim or PS4 Pro and share with us your experiences and queries (if any) in the comments section below.